I took my GMAT today and I got a 680(Q50 V31 IR6). Well I have been preparing for GMAT for last 10 months and after a long period of procrastination booked the date. I felt prepared and my mock scores were in synch with my target score(around 740). But I was disappointed with a bad verbal score,which ruined my first gmat attempt. 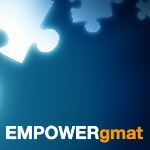 I have used e-GMAT verbal and quant resources. I have done the OGs. Basically I have done enough practice from various quality sources. Quant went really well. I could solve all the questions except one or two questions. However in verbal I did not apply the proper strategy. My strategy was to understand the meaning of the question first for all modules (RC,CR and SC) and Then find the error and eliminate for SC, pre think and eliminate for CR. But I couldn't do any of that properly. I feel like I rushed through the whole verbal module without focusing enough on the given question. There was no time management issue as far as I think cause I gave enough time to most of the questions.i could understand the meaning of the RC and CR passages. Yet I couldn't get the answers right even if I thought I was getting the right answers during the exam. 680 GMAT score is well below my mock scores. I have given mock tests from experts global mock series and scored in the range of 720-750 , with a few 690s.in the official mock I have scored 730 and 710 in the free Manhattan and veritas mocks. In the real gmat I did not find any of the questions too difficult to understand maybe it was because of the adaptive algorithm or maybe it was something else. But I know I could have solved those questions on another day efficiently with a better accuracy.if I have to guess then I think i performed badly in SC and RC. I belong to the big Indian IT male pool. and I am aiming for the top Indian B schools. So I think a 680 may not be enough.so I am thinking of taking another attempt after one month.Any suggestions to improve my verbal skills would be appreciated. 680 is sufficient for ISB(top Indian MBA college).I know a guy who got into ISB Mohali with a 680 and with a pretty mediocre profile. My suggestion for CR would be : Sit with the official sources and make sure you get each argument down to a single statement.Either in your head or on a piece of paper. RC : Read New Yorker regularly(I do) or any magazine with difficult writing.Point is that you need to hate reading the matter.Same as CR but with less writing and more head work. SC : There is a 200 official questions answers document floating around in the forum.Download and byheart it.It has explanations by Ron purewal mainly and Stacy.Nothing else would be required as I know. It goes without saying that Rons videos will help immensely. Also train your mind to focus.I screwed up my last attempt cause I couldn't put a lid on my thoughts during the exam. To start, a 680/Q50 is a strong Score - and it could be enough to get you into your first-choice School. There's certainly no harm in retesting though - and you have a great opportunity to pick up points in the Verbal section. GMAC has publicly stated that the Official Score that you earn on Test Day is within +/- 30 points of actual ability. Assuming a similar 'swing' in how your CATs function, most of your CAT score results - along with your Official Score - show that you essentially performed the same each time (about 700 +/- a few points). You handle certain aspects of the GMAT consistently well, but you also make certain consistent mistakes. Raising a 680 to the point that you can consistently Score 740+ will likely require at least another month of consistent, guided study - and you'll have to make significant improvements to how you handle the overall Verbal section. You might also choose to purchase the Enhanced Score Report. While the ESR doesn’t provide a lot of information, there are usually a few data points that we can use to define what went wrong on Test Day (and what you should work on to score higher). If you purchase the ESR, then I'll be happy to analyze it for you. 1) On what dates did you take each of your CATs and how did you score on EACH (including the Quant and Verbal Scaled Scores for each)? 2) Did you take the ENTIRE CAT each time (including the Essay and IR sections)? 3) Did you take them at home? 4) Did you take them at the same time of day as when you took your Official GMAT? 5) Did you ever do ANYTHING during your CATs that you couldn't do on Test Day (pause the CAT, skip sections, take longer breaks, etc.)? 6) Did you ever take a CAT more than once? Had you seen any of the questions BEFORE (re: on a prior CAT, in an online forum or in a practice set)? First off, nice work on quant! A Q50 is a fantastic quant score. Regarding verbal, since you scored a V31 (despite scoring higher on your practice exams), you likely have many remaining verbal weaknesses that must be addressed. Moving forward, ensure that you follow a linear study plan that allows you to individually learn each GMAT verbal topic and practice the topic until you’ve gained mastery. For example, when studying Critical Reasoning, you need to ensure that you fully understand the essence of the various Critical Reasoning question types. Do you know the importance of an assumption within an argument? Can you easily spot a conclusion? Do you know how to resolve a paradox? Do you know how to properly evaluate cause and effect? Do you know how to properly weaken or strengthen an argument? These are just a few examples; you really need to take a deep dive into the individual Critical Reasoning topics to develop the necessary skills to properly attack any Critical Reasoning questions that you encounter. As you learn each Critical Reasoning problem type, do focused practice so that you can track your skill in answering each type. If, for example, you incorrectly answered a Weaken the Argument question, ask yourself why. Did you make a careless mistake? Did you not recognize the specific question type? Were you doing too much analysis in your head? Did you skip over a keyword in an answer choice? You must thoroughly analyze your mistakes and seek to turn weaknesses into strengths by focusing on the question types you dread seeing and the questions you take a long time to answer correctly. When practicing Reading Comprehension, you need to develop a reading strategy that is both efficient and thorough. Reading too fast and not understanding what you have read are equally as harmful as reading too slow and using up too much time. When attacking Reading Comprehension passages, you must have one clear goal in mind: to understand the context of what you are reading. However, you must do so efficiently, so you need to avoid getting bogged down in the details of each paragraph and focus on understanding the main point of each paragraph. That being said, do not fall into the trap of thinking that you can just read the intro and the conclusion and comprehend the main idea of a paragraph. As you read a paragraph, consider how the context of the paragraph relates to previous paragraphs, so you can continue developing your overall understanding of the passage. Furthermore, as you practice, focus on the exact types of questions with which you struggle: Find the Main Idea, Inference, Author’s Tone, etc. As with Critical Reasoning, analyze your incorrect answers to better determine why you tend to get a particular question type wrong, and then improve upon your weaknesses. You can perfect your reading strategy with a lot of practice, but keep in mind that GMAT Reading Comprehension passages are not meant to be stimulating. So, to better prepare yourself to tackle such bland passages, read magazines with similar content and style, such as the Economist, Scientific American, and Smithsonian. Sentence Correction is a bit of a different animal compared to Reading Comprehension and Critical Reasoning. There are three aspects to getting correct answers to GMAT Sentence Correction questions: what you know, such as grammar rules, what you see, such as violations of grammar rules and the logic of sentence structure, and what you do, such as carefully considering each answer choice in the context of the non-underlined portion of the sentence. To drive up your Sentence Correction score, it is likely that you will have to work on all three of those aspects. Feel free to reach out with any questions. Good luck! Hi. Congratulations on your score. Did you take any Princeton mocks ? Which mocks did you practice apart from Manhattan and how accurate are they ? Please help. 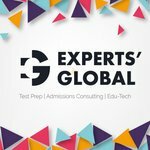 I have used free mocks from Manhattan mock and veritas mock and I have used the experts global mock series and the free official mocks. But I have not used the Princeton mock so I don't have an opinion on it. But I would suggest you to take veritas mock series which is tougher than the GMAT but they do provide you quality questions. But the issue with Manhattan and veritas mock is you might have already come across the questions while practicing in GMAT club forum. That is not the case in experts global mocks.the question and the interface are very realistic and they provide 15 mocks compared to 7 mocks by veritas and manhattan.Their quant section is pretty good.Overall it's a good one. You can go through the mock reviews in GMAT club and chose which one is best for your prep. Originally posted by Deadpool2 on 02 Apr 2019, 13:22. Last edited by Deadpool2 on 04 Apr 2019, 00:37, edited 2 times in total. Thanks a lot Scott for the valuable feedback.yes indeed there are areas I need to work on when it comes to verbal section. Will keep your suggestions in mind in the next step of my preparation. Edit: I saw your account and found that your scores in our last 5 mocks fluctuated between 690 and 750; your score in the 15th test was 690 (Q50, V32), almost identical to your GMAT score- Q50, V31. Hence, we definitely need to overcome the problem of lack of consistency; watching the video below shall definitely help. I see that you have also sent us an email. My team tried reaching you but couldn't get through; you must have received an email from us, please respond to have a call with us. My team shall have a detailed discussion with you but to suggest the broad point, it's good to see a fair sync between your scores in official mocks as well as our and a third esteemed firm's mocks. This shows that on your good day, you can score well on the test. 680 is also not completely off; the difference between 680 and 720 may sometimes be just a difference of 3-4 questions more correct. We need to assess whether the difference was owing to not having a good day or because your mocks were not taken in ideal situations (or a combination of these two reasons). 1. Did you have a bad day? - Did you get stuck on a few questions, couldn't complete the test etc? 2. How is your exam temperament, generally? - Do you feel extra pressure on the real test? Look back at your school and college days to reflect; if so, we need to work harder on exam temperament and ensure that how we take mocks is exactly how we take the real exam, without giving it any special treatment. 3. Were your mocks under GMAT-like conditions? - Did you pause the test, took longer breaks etc? Here is a detailed video about the final tips before GMAT; this included in our GMAT platform but I am not sure whether you saw it before your test; spend 10 minutes on this video to get an idea of the common mistakes and the correct approach for taking the test. Regarding your query about a retake- while 680 is not a bad score, as you still have time, it is recommended that you give the test another shot after a quick revision of all you did and a few more mocks under truly GMAT like conditions. The world's most exhaustive GMAT test-series- 15 full length tests with video explanations and rigorous analytics | Get the first test free! 680 is a fine score and you should not get disheartened. However, if your scores in mocks were in the range of 710-40, you must give it a chance as there is nothing to lose and everything to gain. Good thing is that your score in official mock test and experts global mocks were both above 710. I have seen my scores (total as well as sectional) in experts global mocks being very similar to the official mocks. Their quant is absolutely amazing and I found verbal equally good, very close to the official questions. I would suggest using their video solutions as well, I personally never had any difficulty in understanding any explanation. Princeton mocks are decent for practice- in sync with GMAT on most matters. It's just that even if you perform very well, these mocks throw easy questions at you. So these tests are good if the target is 670 or less. To start with 680 is a good score and Q 50 is awesome! I suggest you order your ESR and try to analyze your weak areas in verbal. Prepare an error log and try to recognize the error pattern and overcome it. Hi Deadpool2, which sub-section in Verbal is bothering you the most? Also, request you to share ESR.